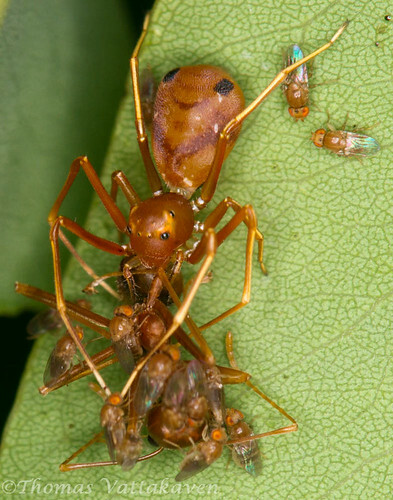 Nature Magnified: Do Spiders Share their Prey? Do Spiders Share their Prey? Some eating relationships in nature are hard to explain. Spiders eat flies. Spiders eat ants. Ants eat (dead) flies. 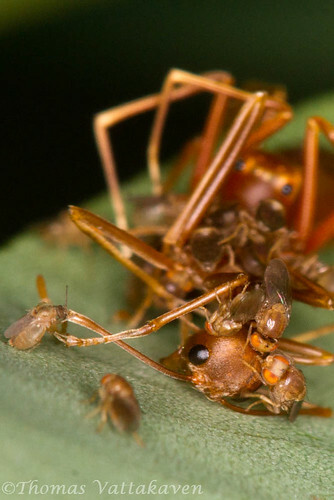 Ants eat (dead) spiders. Flies eat (dead) spiders. Do flies eat dead ants? 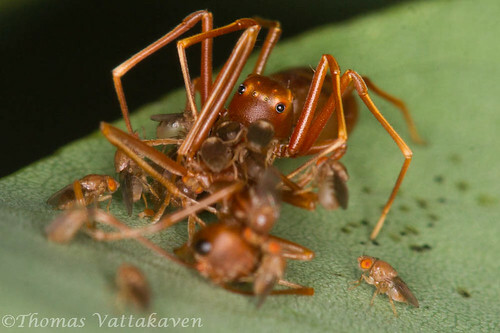 From these images it appears as if they not only do, but also share the meal with spiders! This is quite surprising as this is not the first time I`m featuring such an occurrence on these pages. 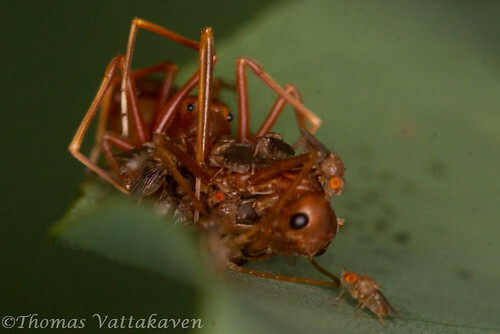 A lot of energy goes into predation and I wouldn't expect an insect predator to be so generous with its prey. Well actually I don't think what is seen here is due to the generosity of the spider. It appears as if the spider (another ant mimic!) has caught an ant, on which it was too busy feeding upon when the flies arrived for a free meal. I guess it just couldn't be bothered to or didn't consider it worth the effort to chase away the flies. It may well be that the flies are not really eating the ant itself… perhaps it is eating a different component of the ant that the spider may not eat. 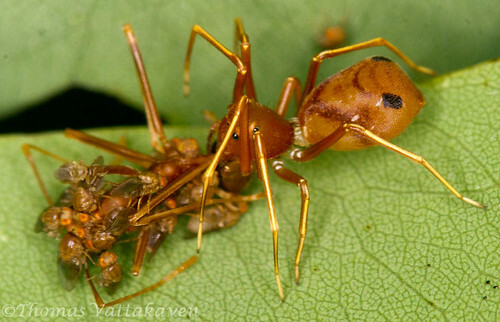 Once the spider is done sucking out the insides of the ant, it leaves behind the exoskeleton which may be utilised by other creatures or broken down by fungi and bacteria. I`m not sure what these flies are , but they look very similar to fruit flies. Do drop a comment below if you know. 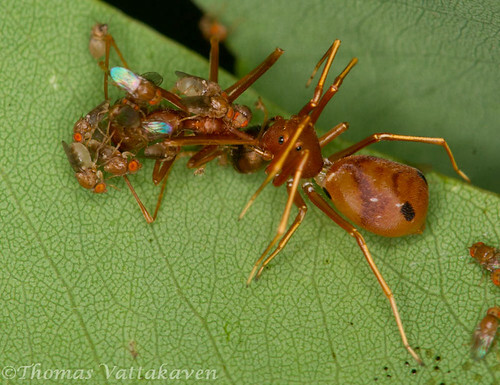 Check here for another spider and fly sharing an ant meal.